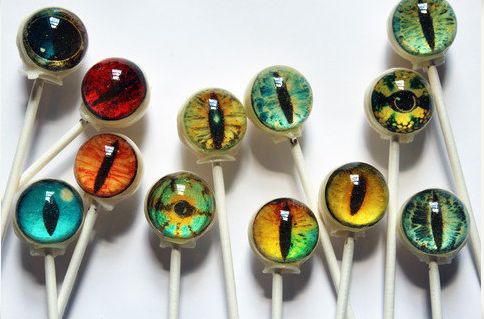 These are the prettiest, eerie suckers I’ve ever seen! Very cool! Thanks for sharing, Claudia! LOL! I would love to see the expression on people’s faces when you give them one of these. They look so real!